Often dubbed the “crystals bible,” this comprehensive reference guide to the spiritual and healing qualities of 455 sacred stones has become the go-to book for looking up the properties of gems and minerals. 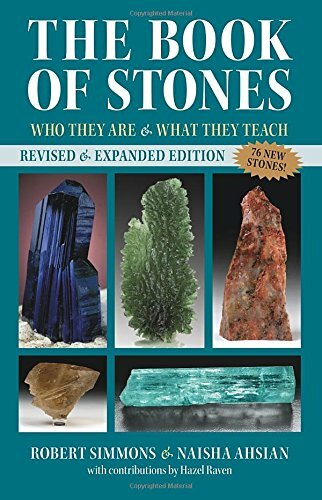 Each entry includes vivid color photographs for each stone to aid identification and to showcase its beauty, as well as listing its scientific information, its element and chakra correspondences, and the physical, emotional, and spiritual benefits of each stone. Illustrated by gorgeously lit, clear color photos to aid quick identification, the book offers an illuminating alphabetical journey through the mineral kingdom, stone by stone. This new edition of The Book of Stones, the best-selling guide to some of Earth’s most beautiful natural objects, is revised to include 76 new entries. The book begins with two introductory chapters detailing advice by authors Naisha Ahsian and Robert Simmons on how to work with crystals and stones–including the concept of crystal resonance and the scientific observation that living organisms (such as ourselves) are liquid crystalline structures. 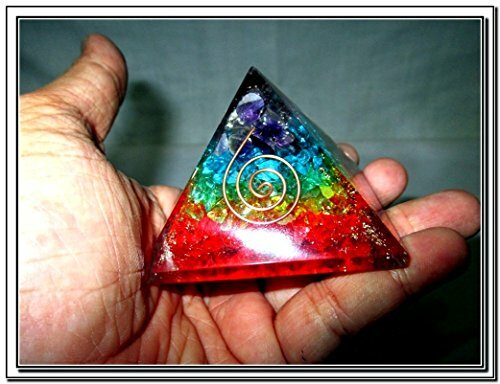 Each entry begins with the stone name and photo, plus its elemental and chakra correspondences, as well as keywords that indicate its properties. Next comes a description of the crystal structure, hardness, history, and known locations of each mineral, plus any relevant legend or lore from the past. Each author then offers their own take and personal insights on the subtle energy properties and spiritual applications of the stone. The entries conclude with summaries of the spiritual, emotional, and physical healing qualities of the stone, and an affirmation for evoking its potential benefits. The book’s presentation is straightforward enough to make it an excellent introduction for beginners, yet the level of detail and the depth of research make it an invaluable resource for the most experienced stone practitioners.